The natural beauty of the animals around us has always been inspirational. One of the first people to discover the beauty of animals and try to depict it was the German artist Albrecht Dürer. Up to now, animal photography remains one of the most popular genres — and it’s not for nothing! We at Apegeo have prepared a selection of pictures of the most beautiful and photogenic animals from all over the globe, and we just can’t take our eyes off them. This truly beautiful psychedelic creature can be found in the Pacific Ocean near Australia, the Philippines, and Taiwan. The unique appearance of the white Bengal tiger is related to its lack of pheomelanin pigment, which makes the fur of regular Bengal tigers orange. It is said that the white tigers grow faster and heavier than the orange ones. This plant-looking creature is called a leafy sea dragon. By the way, it is the marine emblem of the state of South Australia, where it can usually be found. 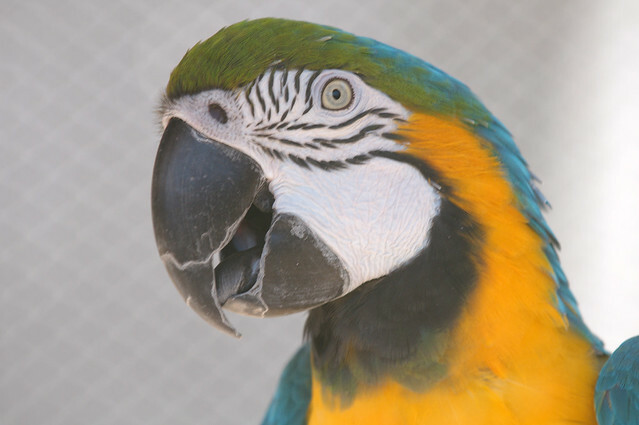 This South American parrot is characterized not only by its bright color but also by its ability to speak. This small fox lives in the Arctic regions; its thick, warm, gorgeous fur is also used as camouflage. This striking bright-colored bird is known as the national bird of Honduras. Fire salamanders are one of the best-known salamander species in Europe characterized by their unusual and bright coloration. This small predator is the only cat in the world living in true deserts. This unearthly colorful creature is a sea slug living in the tropical waters of the central Indo-Pacific region.